Hilde Higgins — One of the Best Hairstylists in Kansas — Can Recognize a Head of Hair… Even When Her Client is Dead! Watch the tangled mess that Hilde gets herself into when she realizes that Mabel Winnemaker, her latest client at Druther’s Funeral Home, has gone missing. Hilde knows that the body she is asked to work on at the funeral home is not the same person as in her reference photo. Unhappily for Hilde, everyone else doubts that Mabel is missing. The situation heats up hotter than Hilde’s curling iron — and forces her to answer some tough questions: Is she being silenced when the funeral director accuses her of stealing a diamond ring? Will Hilde Higgins’s former boyfriend help her unravel the issue — or only bring more trouble to her life? 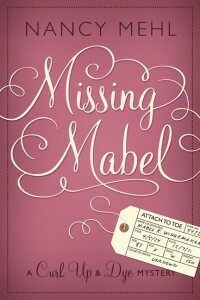 And most important of all, what happened to the real Mabel… and why?